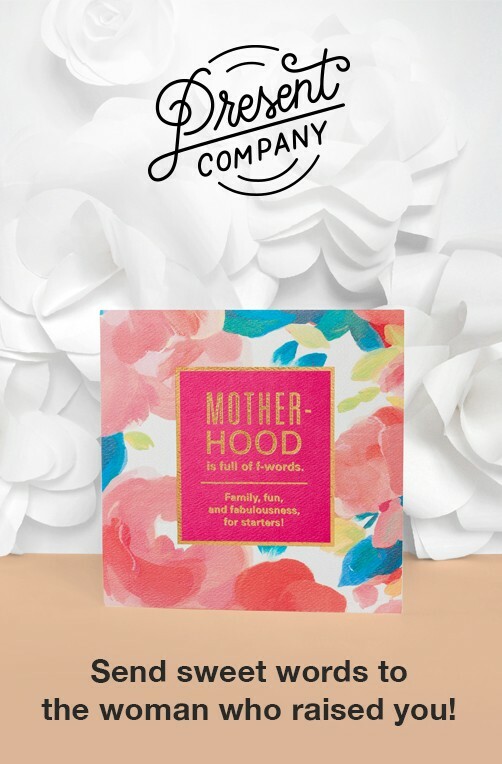 Share a stylish gift presentation for any occasion! 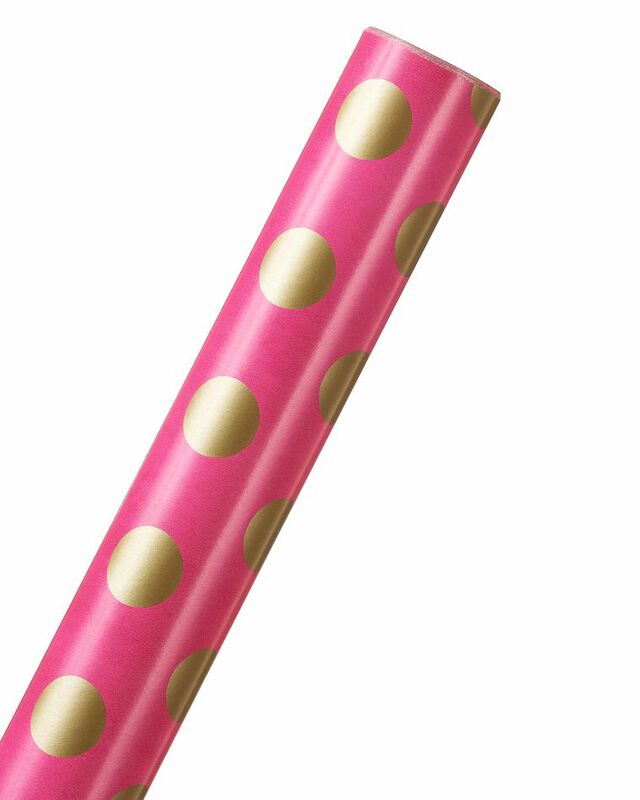 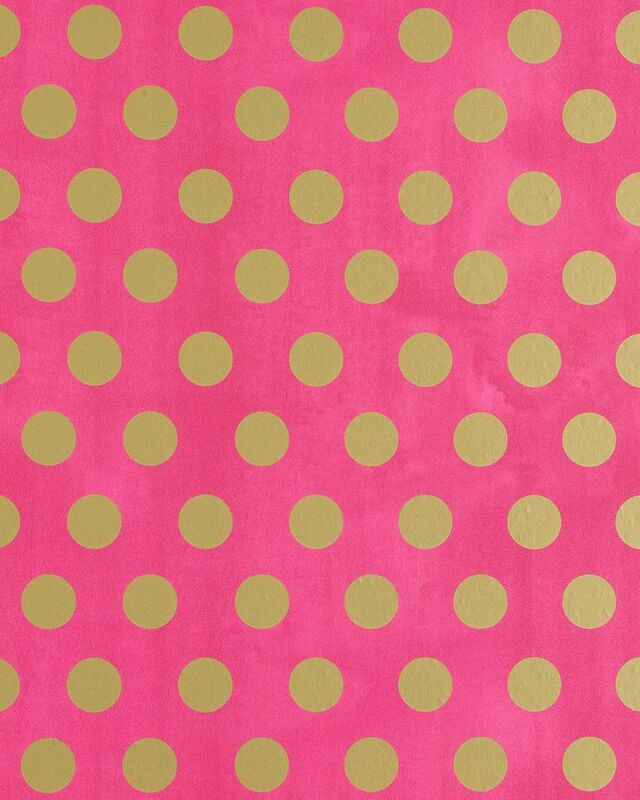 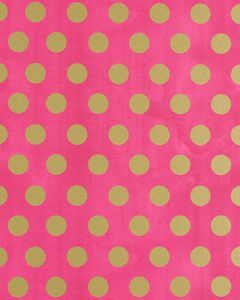 This cute and trendy roll wrap features shiny gold polka dots on a bright pink background. 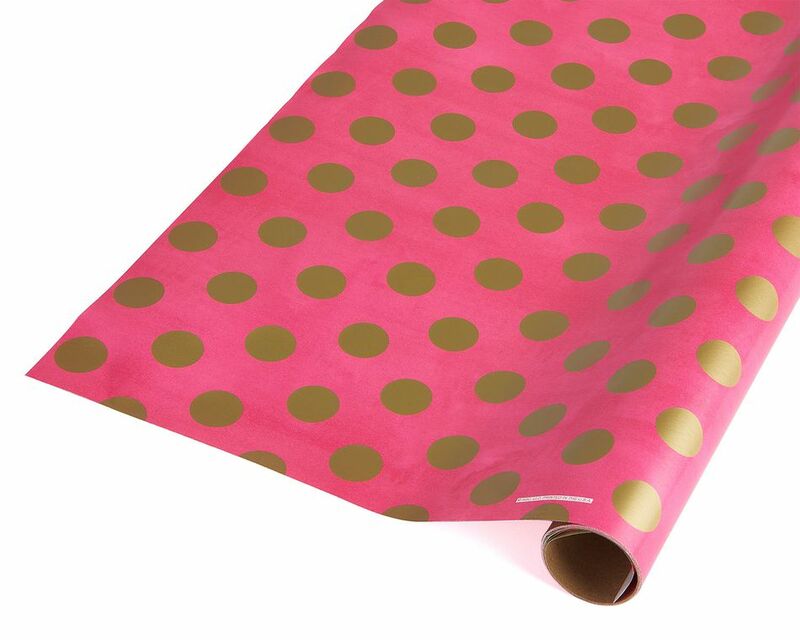 One roll includes 20 square feet of paper and is perfect for wrapping up a variety of boxed gifts for birthdays, congratulations, showers and more. Use the wrapping paper on its own for a clean look or dress it up with a gift tag, tissue paper decorations, ribbons and bows (all sold separately). The versatile design is perfect for adding to your gift wrap supply so you’re ready for the next special occasion!